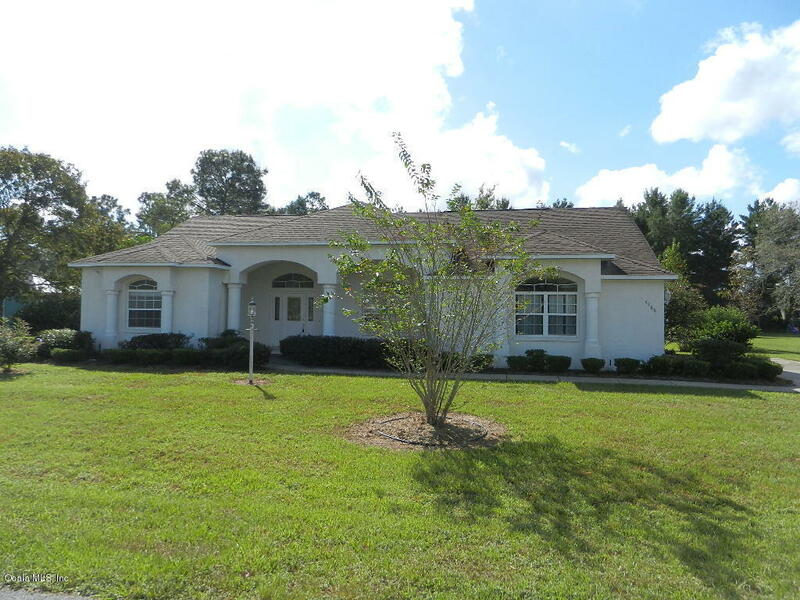 Large 4 bedroom, 2 bath, screened enclosed pool on about half an acres in desirable SW Ocala all age community! Formal living room has built in entertainment area. Four entry ways to pool from the house. Master bathroom has jetted garden tub and separate walk in shower, master bedroom overlooks the pool. Family room and formal dining room are both large and open. Inside laundry and inside entry 2 car garage on a private street.